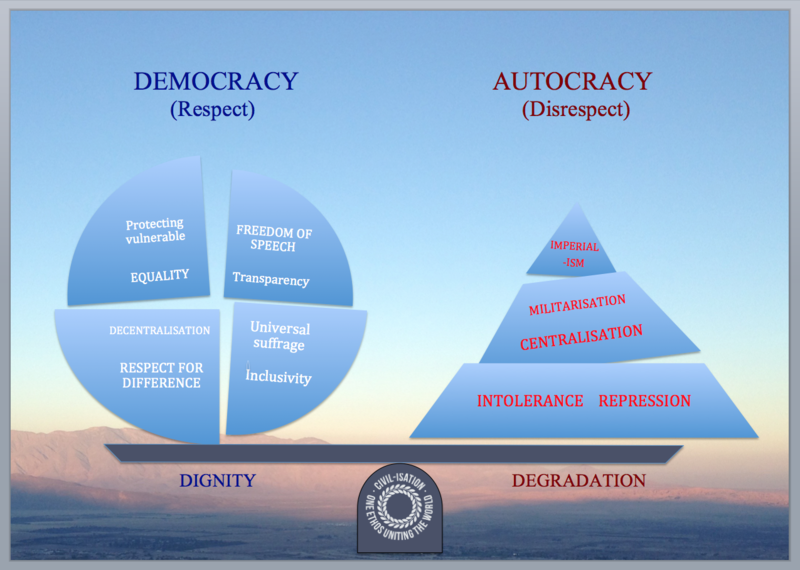 Civil-isation - So what's democracy? 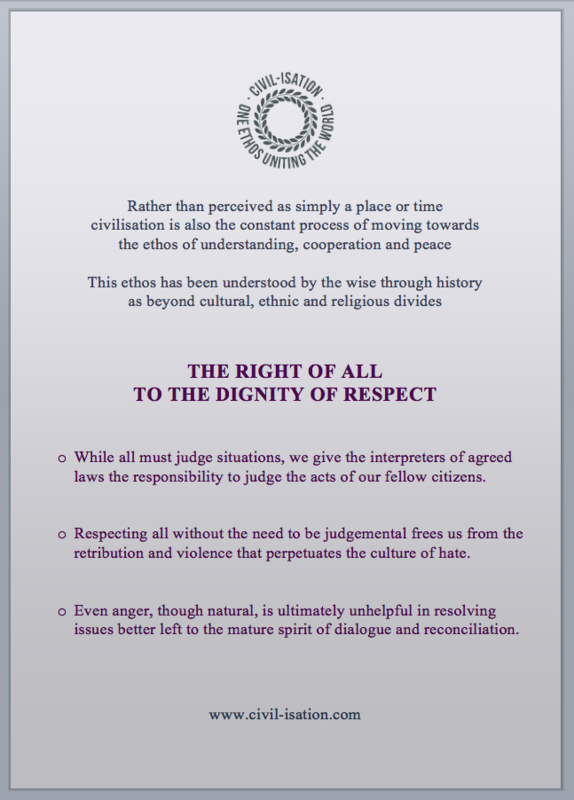 but an integrated social & ideological system based on respect for the individual." 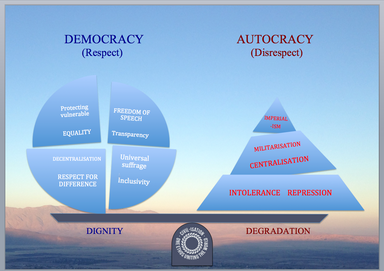 The notions of 'universal respect' and democracy are indistinguishable. Western civilisation talks a lot about democracy and tends to take ownership of the idea. But the ideal of sharing power and of respect for all has been the appreciation of cultures across the world throughout history. It is true that from the 17th Century, Western philosophers championed the notion of the dignity of humanity but this is actually an age-old ideal, as anthropologists and theologians will confirm. 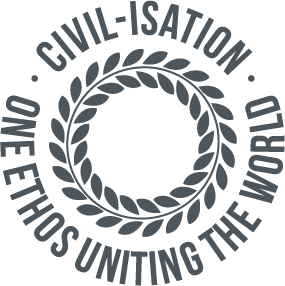 So CIVIL-ISATION refers to the idea of democracy as synonymous with the ideal of respect in our understanding of a healthy society. It also recognises these linked ideals as vulnerable to neglect and corruption. Advanced societies around the world cannot be complacent in their commitment to democracy, which like any ideal must be an on-going obligation to uphold and strengthen. Many consider democracy to be under threat today, particularly where there is a culture of militarisation, centralisation and autocracy. It is perhaps helpful to note that before 1800 ‘electoral representation’ would not have been recognised as democracy at all. We have witnessed the subversion of democracy’s fundamental requirements for openness, inclusivity, equality and respect. To compliment these, one might add accountability, transparency and independence. Respecting democracy means respecting the people and the opinions of the people, however they may differ from our own. Therefore, democracy’s necessity for rule by the people has always been under threat from the powerful and is no less so in today’s world of increasing inequality. DEMOCRACY is the antithesis of AUTOCRACY.
" 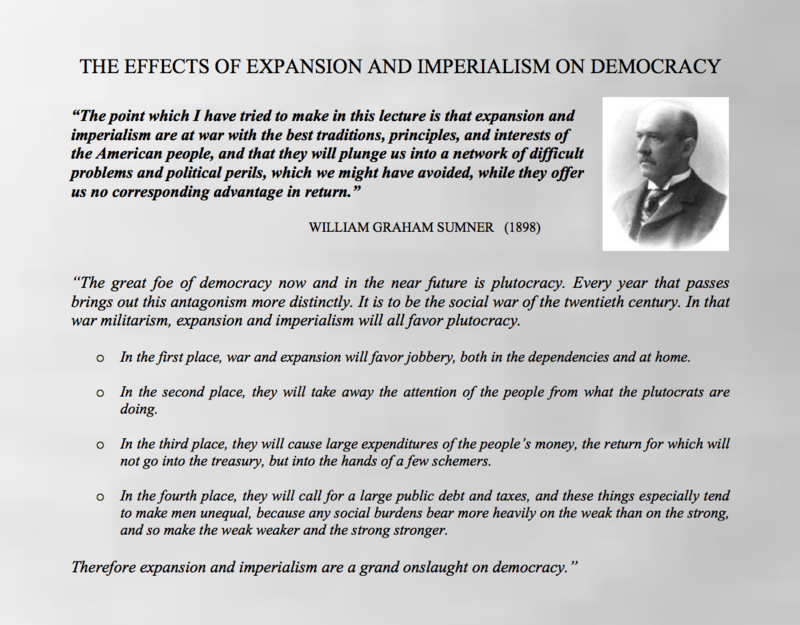 I have often before now been convinced that a democracy is incapable of empire..."
"Democracy arises out of the notion that those who are equal in any respect are equal in all respects; because men are equally free, they claim to be absolutely equal.."